1. Cremona, G. O., & Steele, R. (1929). Practical Chemistry in the Twelfth Century Rasis de aluminibus et salibus. Isis, 12(1), 10-46. 2. Monteverdi, C. (1980). The Letters of Claudio Monteverdi. Cambridge University Press. 3. Nagyvary, J. (1978). 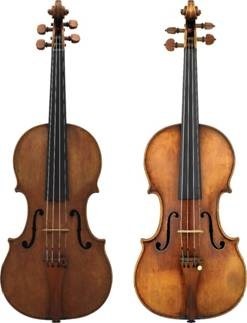 History and interpretation of chemical knowledge available to violin makers. Journal of he Violin Society of America, 4(3-4), 147-176. 4. Nagyvary, J., Guillemette, R. N., & Spiegelman, C. H. (2009). Mineral preservatives in the wood of Stradivari and Guarneri. PloS one, 4(1), e4245. 5. Newton, I. (1896). Sir Isaac Newton’s Mint Reports. 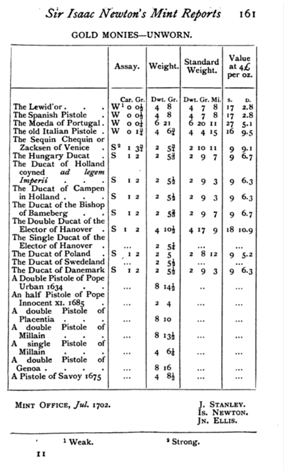 Select Tracts and Documents Illustrative of English Monetary History, 1626-1730. 6. Newman, E. G. V. (1975). The gold metallurgy of Isaac Newton. Gold Bulletin, 8(3), 90-95. 7. Sutton, M. (2011). Doubts and paradoxes. Chemistry World, 8(4), 46-49. 8. Tai, H. C. (2009). Stradivari’s Varnish: A review of scientific findings—Part II. Journal of the Violin Society of America, 22, 1-31. 9. Tai, H. C., Li, G. C., Huang, S. J., Jhu, C. R., Chung, J. H., Wang, B. Y., … & Chan, J. C. C. (2017). Chemical distinctions between Stradivari’s maple and modern tonewood. Proceedings of the National Academy of Sciences, 114(1), 27-32. 10. Waite, A. E. (2005). The Hermetic and Alchemical Writings of Paracelsus the Great. Kessinger Publishing.